Valentine’s Day is just around the corner, so why not enjoy a little Valentine’s Day themed crafting? 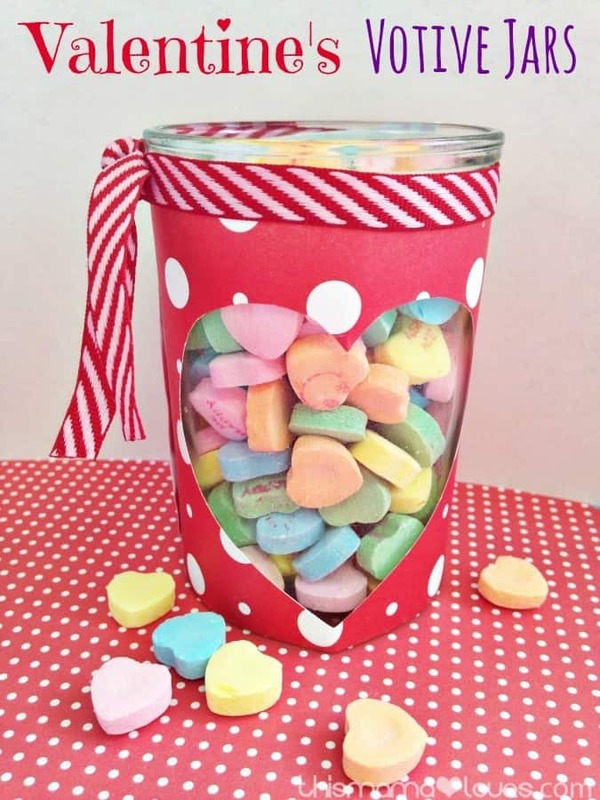 You can make your own Valentine’s Day craft this year- themed votive jars for just pennies each, the end result being a votive holder you can use for candles or even sweet treats. 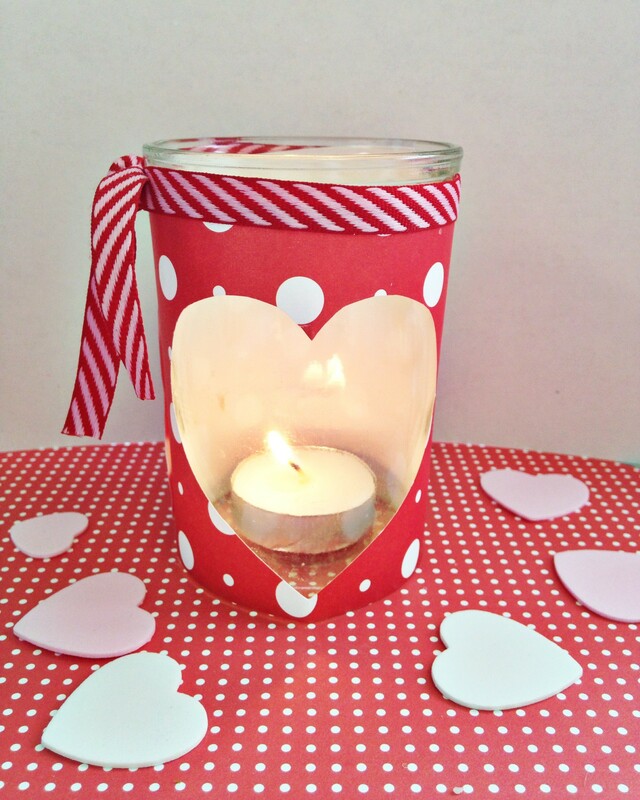 Take a peek below at how we crafted these sweet Valentine’s Day votive holders, perfect for your holiday gift giving or decorating. Here is how to get started! 1. 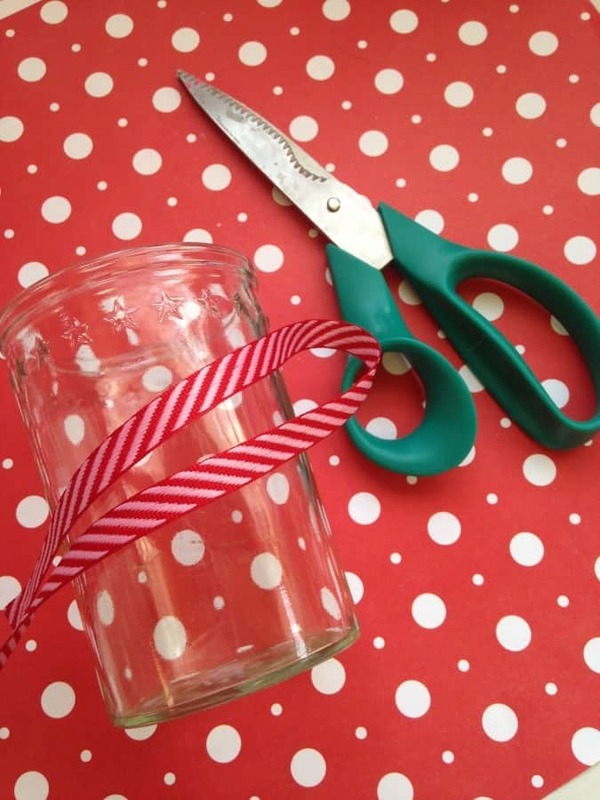 Begin by cutting a strip of paper to fit around your jar. Simply cut, wrap, and make any necessary trims to the paper so that it fits well. Remove the strip from the jar. 2. In the middle of the strip, gently bend it in half. Bend it gently, do not press on the crease. Cut a heart half out of the paper on the bend, so that when you open it up the heart shape will be present. Remove and discard the paper heart clipping as you won’t need it further. 3. Wrap the strip back around the jar and secure it with glue. You should now be able to peek through the heart and into the jar. 4. Finish by wrapping a length of ribbon or twine around the top of the jar. Tie to secure. 5. Place a votive in the jar and light it up. You will see the glow coming through the heart perfectly! 5. Fill the jar with your candy conversation hearts. They will fill the jar and fill the heart space so you can look through the glass and see them. 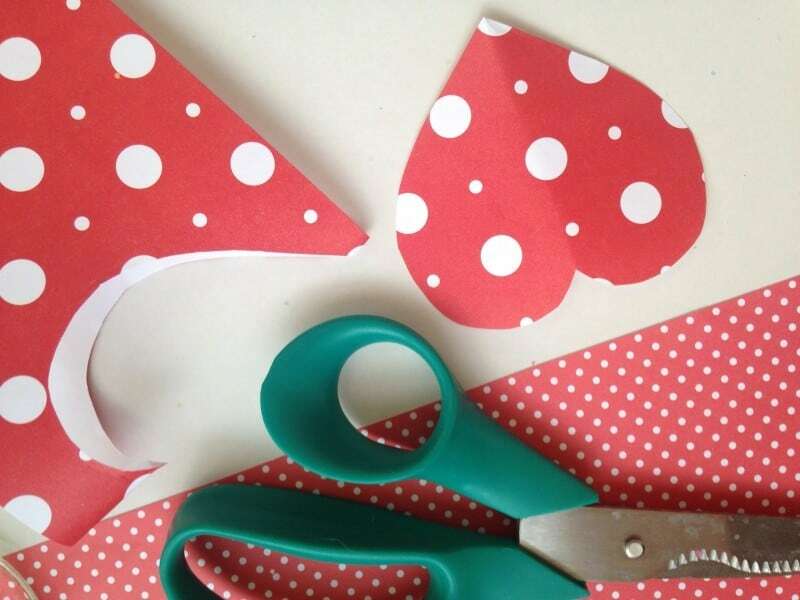 How sweet is this pair of Valentine’s Day crafts? Give them a try and really get into the season for sweethearts! These are adorabe and look easy to do too. 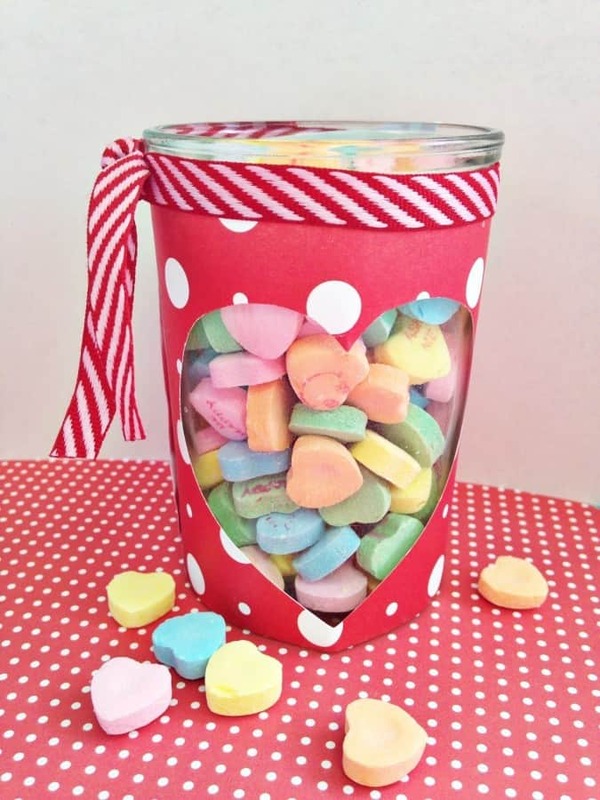 I love the look of candy hearts they bring back great memories and they are a classic.